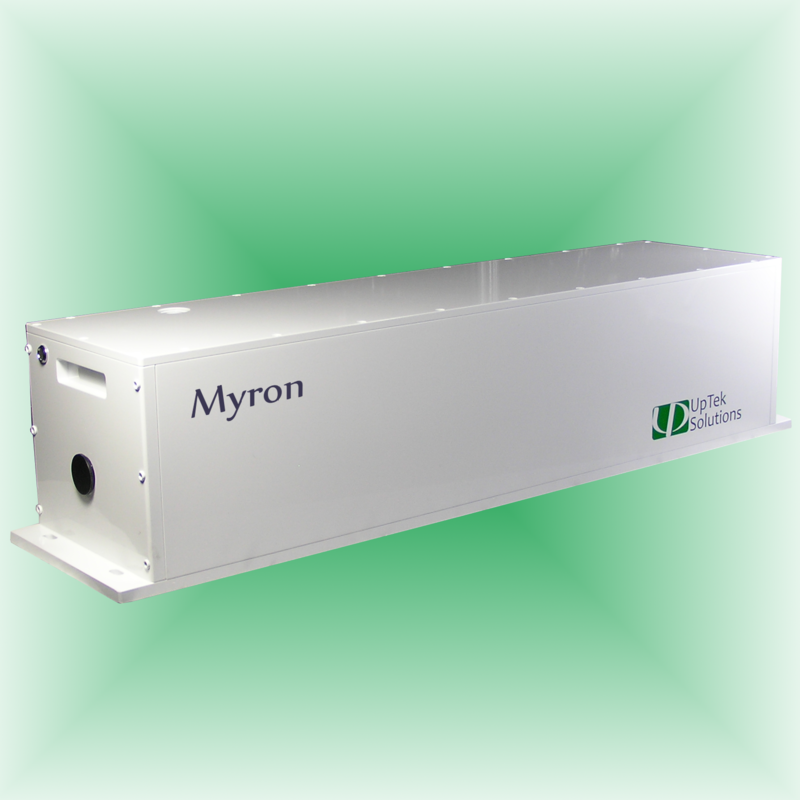 Myron is diode-pumped, Q-switched second harmonic Nd:YAG laser. It features field-proven, industry grade long-life diode module and no DI water requirement. The optimum cavity design and PRF adjustment result in excellent output stability over a large dynamic range as well as super reliability for long-term operation. The Myron is available in TEM00 and multi-mode output. The Myron-10-0 and Myron-20-0 offer >10 W TEM00 and >20W TEM00, respectively, at 532 nm. The Myron-30-M delivers >30W multi-mode 532 nm output. Myron series can be used not only for ultrafast Ti:sapphire pumping up to 10 KHz, such as UpTek Solutions Phidia-10 series, but also for material processing and micromachining due to their smooth TEM00 beam profiles. Myron series provide optimum solutions for scientific as well as industrial customers for applications, such as ultrafast amplifier pumping, PIV, material processing, micromachining, etc.